On your mark, get set, BAKE! Get ready to be transported in the famous white tent and at the heart of the British countryside! Indeed, Baker’s Treat Video Slot seems to take its inspiration from the popular TV show The Great British Bake Off. What’s more is that in this game you’ll not only have the chance to see all the fabulous desserts the contestants prepared for you! But you’ll also have the chance to get your hands on some very sweet wins because this slot is jam-packed with excellent features. So let’s dig in and give you more information about them! Bonuses & features: Free Spins, win both ways, Synchronised Reels, Wild Reels, Expanding Wilds, Symbol permutation, and achievement builder. Baker’s Treat Video Slot is a fabulous achievement builder game where you’ll have the chance to trigger 6 different types of Free Spins. Indeed, when you load the game have a look right above the reels. You’ll notice that each reel has a sweet meter associated with it. And each time a Stacked symbol land in view you’ll increase the meter by one. Of course, once the meter is full, you’ll trigger the Free Spins bonus associated with the treat. To sum up, they’re five different desserts, a mint cupcake, a blueberry pie, a carrot cake, a lemon panna cotta, and a Strawberry Trifle. And completing the meter will trigger 3 Free Spins with the feature associated with the treat! Win even more Free Spins! Additionally, know that you’ll trigger 5 Free Spins or the Bake off Spin if you manage to get one dessert on each reel. What’s more is that if you’ve triggered the feature with Stacked symbols, you’ll win 1 extra spin per Stacked symbol. The maximum amount of Free Rounds you’ll play in this feature is 10. Honestly, there’s never a dull moment when you play Baker’s Treat because it’s a win both ways slot! Also, you’ll quickly notice that the Free Spins bonuses are pretty easy to activate. And given the fact that each dessert comes with its own feature like Synchronised Reels, Symbol permutation, and Wild Reels each bonus you’ll trigger bring something different to the table. Not to mention that if you’re so lucky to trigger the Bake off Spin. Each spin will come with a different feature! All and all, Baker’s Treat Video Slot is a game that all players with a sweet tooth will enjoy! 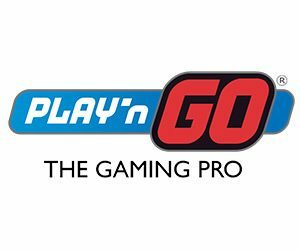 And because it’s a Play’n GO game, it’s available in many UK casinos and even on mobile casinos too! Try it now and have fun!